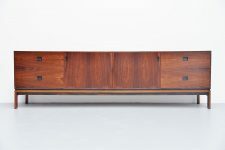 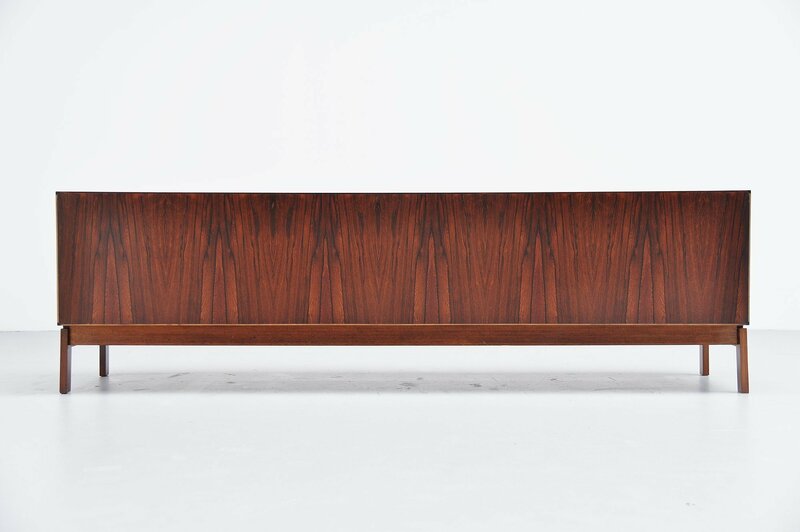 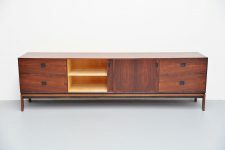 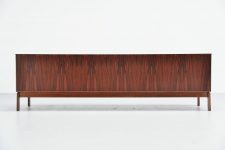 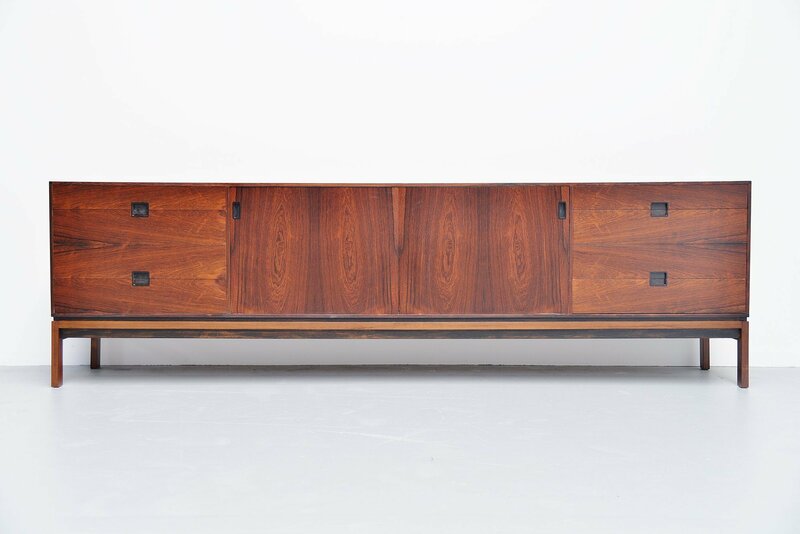 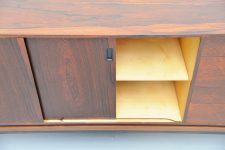 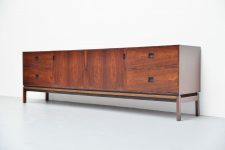 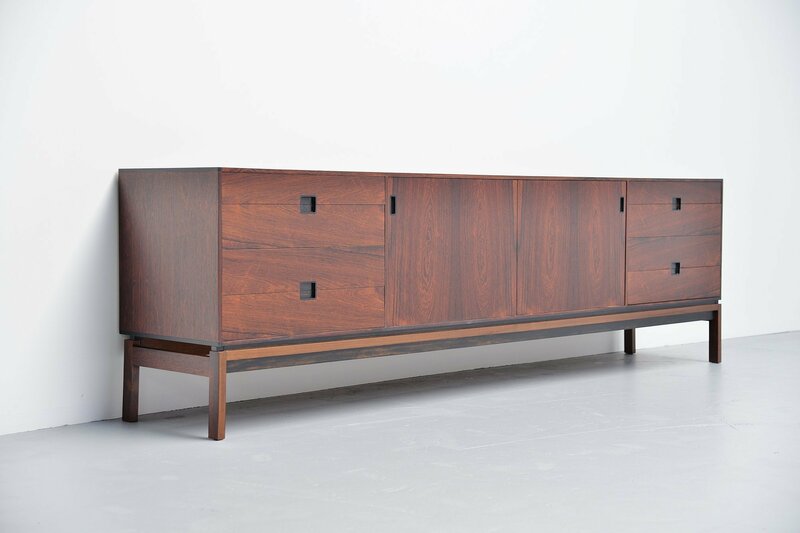 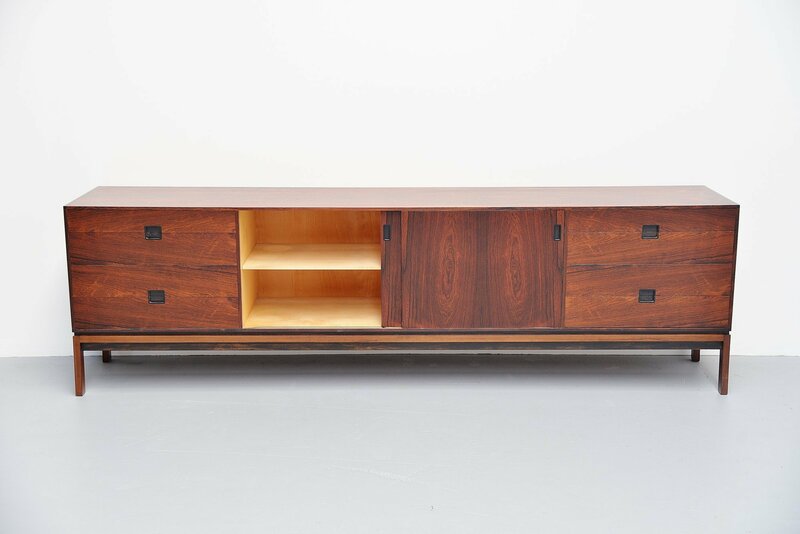 Absolutely stunning sideboard designed by Hans Hove and Palle Petersen and manufactured by Christian Linneberg, Denmark 1960. 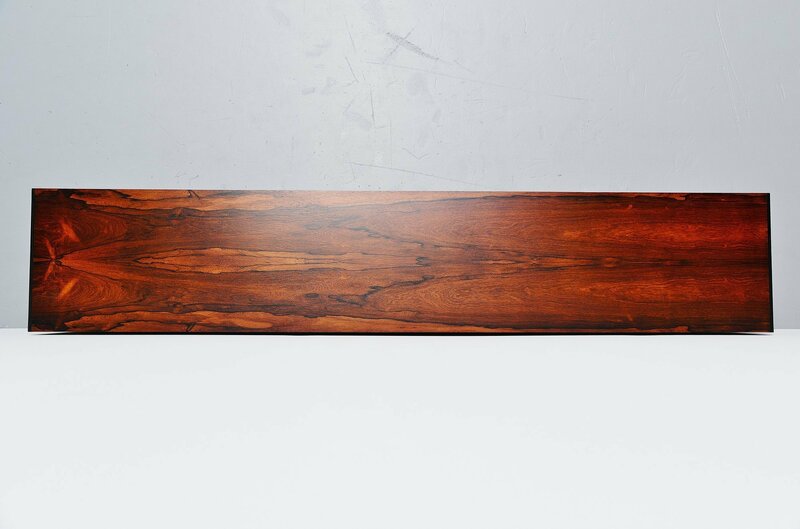 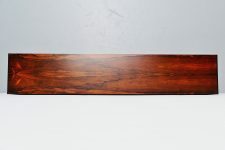 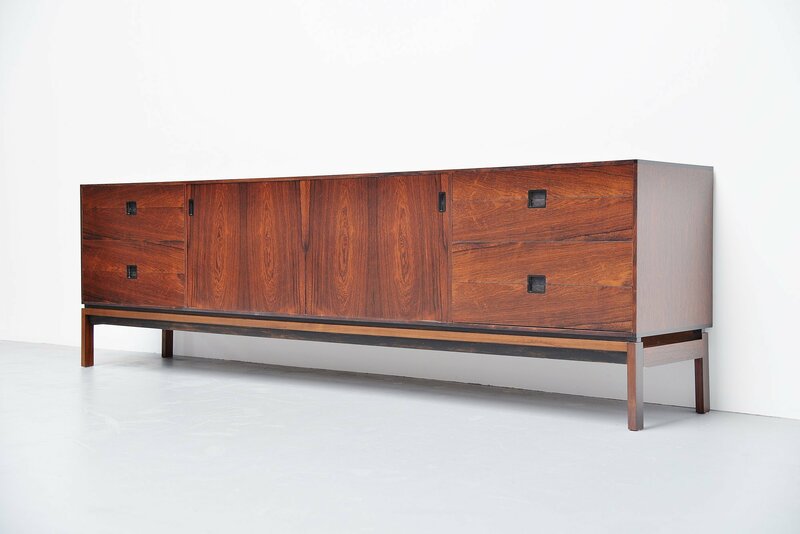 Superbly crafted rosewood sideboard in and extremely high quality finished. This nice and large sized sideboard has plenty of storage space on the inside. 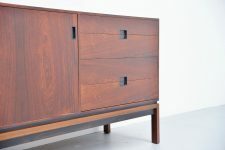 Very nice symmetrical sideboard with on the left and right 4 drawers and in the middle 2 sliding doors with a shelve behind. 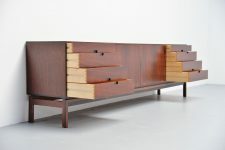 The sliding doors slide behind each other in an ingenious way. The back of this sideboard is also finished so this can also be used free standing in the middle of a space. 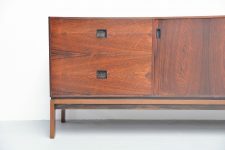 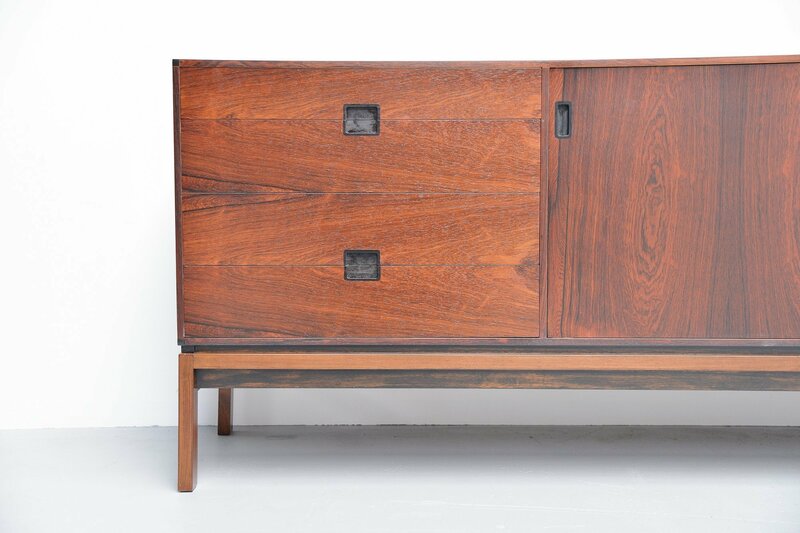 For sure one of the nicest Danish sideboards I have ever seen. This is refinished and therefor in excellent and clean condition.